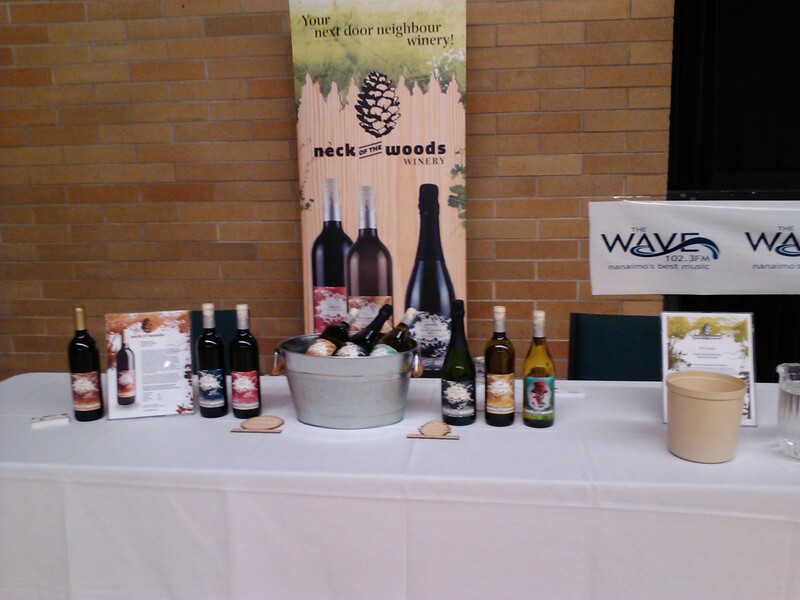 Neck of the Woods wowed consumers at the Nanaimo Wine Festival…This one was a hit… In addition to having great Bubbles…Neck of the woods has put forward a good spin on their BC VQA Blended Red & White…with the easy to remember back label moniker “from our neck of the woods to yours” and limited edition “Nosey Neighbour” featuring Victoria Artist Carolynne Yardley. The Nosey Neighbour White grabbed a lot of attention for it’s easy drinking appeal that attracted a wide range of entry-level and experienced wine drinkers. Interest was evenly split between the Zweigelt Red $15.99 and Nosey Neighbour Red $14.99 (See the Product Sell Sheet attached). For the more sophisticated pallet we had good response from the Neck of the Woods Okanagan VQA Merlot and Sauvingnon-blanc. Private Store Retailers will be pleased to note: the Limited edition Carollyne Yardley / Scholarship Promotion was winning the hearts of consumers and POS material will be available soon promoting the program that starts this November where .50cents from every bottle of Neck of the Woods Wine sold on the island goes towards the development of the Community Art Council of Greater Victoria Scholarship Fund. Qualified Vancouver Island Students attending schools such as Camosun College will be able to apply for support as the Winery takes a sincere interest in this local Island program offer.